In a world where bloggers are everywhere, how can you stand out? How can an influencer reach new people? I went to an @midnight taping a couple years ago in Los Angeles & wrote about my experience. I never knew what an impact it would have on my blog. Every day people search for @midnight related content, which leads them directly to my blog. Some of those people come to be regular readers. 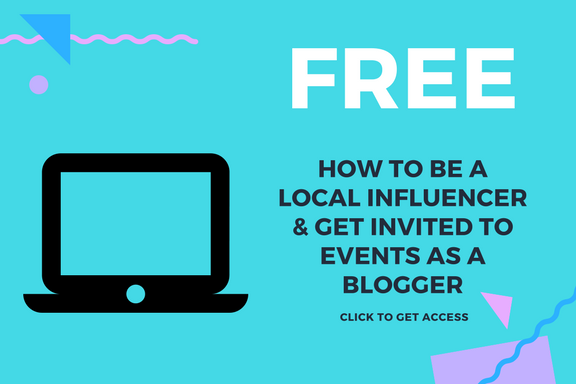 If you're wondering how to be a local influencer & how to get invited to events as a blogger, you've come to the right place. These are my insider tips to moving up that blogging ladder. Get FREE access to my exclusive newsletter. 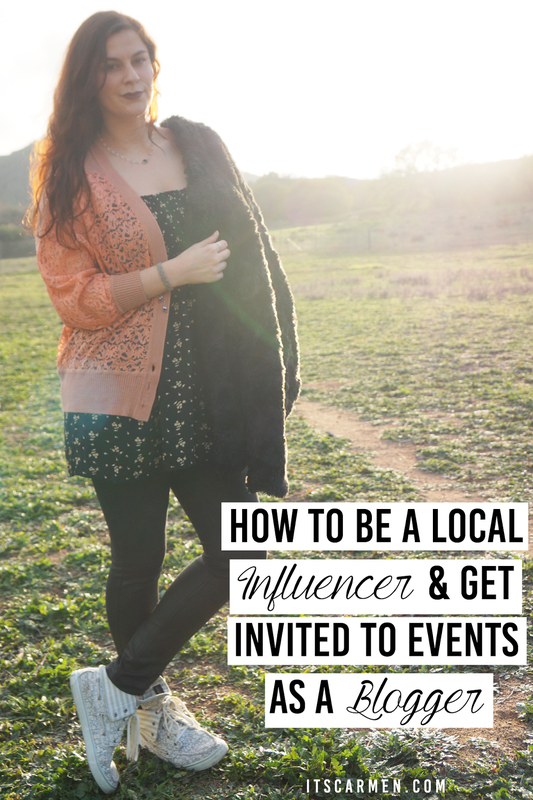 How to Be a Local Influencer & Get Invited to Events as a Blogger. Great advices especially for me as a new blogger. I live in Denmark unfortunately but I was thinking that maybe it's time for me to get out there with my blog. Would you recommend I have some business cards with me? Such a lovely & helpful post! I´ve never thought about searching/contacting the local PR person but it sounds like something that I could definitely do! loving these tips! I had not thought about contacting pr before, definitely worth a shot! I love the idea of checking local events for networking opportunities! I never thought of that! These are all great tips and I like how you focused the post about how to grow your blog locally because a lot of bloggers skip this step and try to gain an international base first. These are great tips and points. I love eventbrite. There are so many events on there, and it really was fun finding fun activities and events when I first moved to LA. Reaching out and being proactive is really key in getting invites. Great tips, Carmen! Staying active in your local community is a must. Also it's good to network and meet new people, reach out to the ones that organize the events etc. Thank you for your help sweetie!! These are great tips! I have to agree with patience for sure! This is such a great post! Cool tips, thanks for sharing! it is indeed very useful. I will actually try reaching out to PR companies. Thank you so much. These are amazing tips indeed. You are so right , everything takes time, nothing is going to happen overnight. Lovely, thanks for sharing your very helpful tips. Oooh you have so many great tips here especially about mentioning brands in your outreach. Thanks for sharing some of these, gonna try some out myself! This post was amazing as is going in my bookmarks folder! Such insparational words ive been blogging for a few years and didn't consider a lot of these points. Great suggestions. Being genuine is key. Hi Carmen! Thanks for sharing all of these goodies! I am about to write down all of the information that you listed under finding local PR contacts in my planner, and then read this blog post again! Thank you so much for writing a post like this! I've been pitching different brands and businesses recently, but I never thought about just reaching out to be added to PR list where I live! I love your weight loss analogy. I feel like my blog has been growing soo slowly but you're right, it takes time! Thanks for all your tips! I love this. I'm from Boston but they don't have a huge parent niche. It's almost like they're secret. I'm in year two. I'm starting to blend and finally get included and invited to other events in this niche etc. Late to the party but this post is right on time for me. 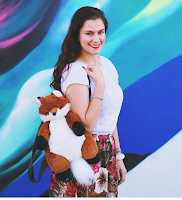 I'm moving to a new city and would love to gain a new local readership and partner with new businesses. It is like starting over in a way. New contacts, new partnerships etc. Good reminders here! Carmen, thank you so much for this such an informative and very helpful post! Growing your blog locally first is a great advice for newbies like me! I`m building my personal blog right now and I`m following this amazing steps from https://fortunelords.com/start-a-blog/ and so far it`s been so easy!